My own health was drastically improved during a mold exposure by sessions in a Salt Cave. When I discovered the mobile 'salt cave' equipment, I jumped on the chance to spread the availability of this simple wellness enhancer with lots of people suffering from our Northwest Climate-induced conditions. However life had other plans for me, and I am now looking for a new home for a completely new & unused, portable HaloCabin Air that includes a fully transferable 2 year warranty and ongoing customer support by the vendor. 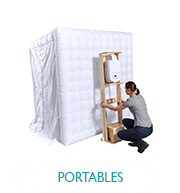 This model comes with an inflatable tent, so that it does not need to be permanently installed. It can fit in any 9x9x9 space that has access to a standard electrical outlet. 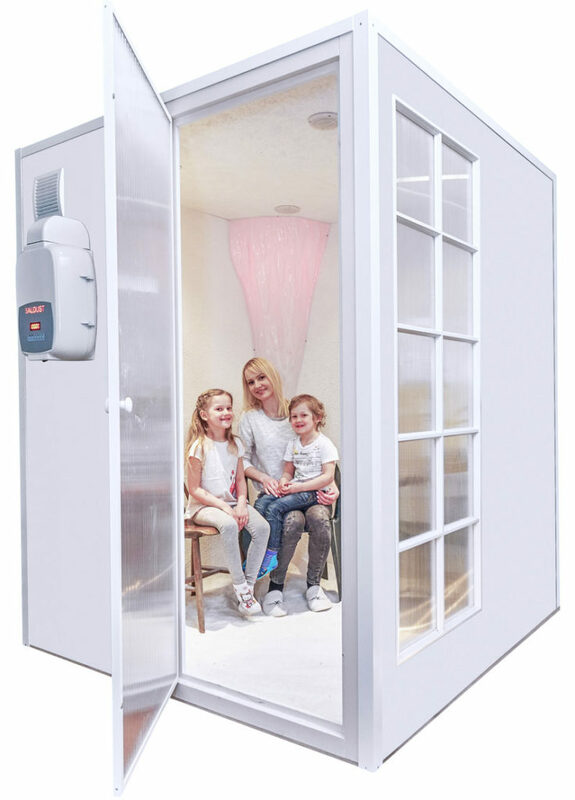 It fits 3 people per session and due to the small area that contains the salt particles, in just 20 minutes customers can receive a similar dosage of salt as if they spent a whole hour in a larger salt cave environment. I am eager to place this equipment in a new home so that it can help people breathe better this fall. The equipment is still brand new and ready to be set up to operate in just minutes. It comes with the manual from the company and I will include 10 pounds of salt to get your started. And my time to transfer all my knowledge and any help you require for marketing and other support. Please reach out if you are at all interested so we can discuss this opportunity. If you order direct from GHS, you will need to pay for international shipping and perhaps wait months for a unit to arrive. WHY BUY A SALT CABIN? safe and effective way of using salt’s natural antibacterial, anti-inflammatory and super absorbent properties to provide relief for respiratory and skin conditions. When you heat salt, it becomes super dry, and kinetically more active. This heated and dry pure sodium chloride is then crushed into micro-sized particles and dispersed into the air in an enclosed environment. When micro-particles of dry salt is inhaled into the respiratory system, it does its job by absorbing and removing allergens, toxins and foreign substances in your lungs and throughout your respiratory tract. Salt also reduces any inflammation and opens airway passages making easier to breathe. Most people notice improved breathing during the treatment, but the effects will be noticed throughout the day and night as the inhaled & absorbed salt particles continue to be used. inflates in a 9x9 space next to a standard outlet. ◊ Sell multi-use packages and memberships – best results happen over time.